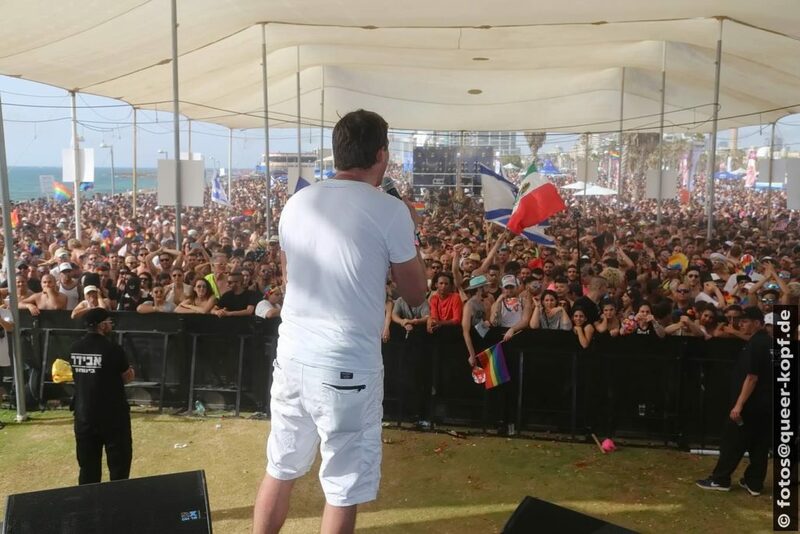 For years Tel Aviv Pride has been one of the bigger Prides in the world, attracting tens of thousands of gay men from all around the world who come to party and enjoy the beaches and the sun Tel Aviv has to offer. In most cities around the world, the community organizes the Pride event. In Tel Aviv, the municipality understands the economic power of such an event and is organizing the event from the perspective the community doesn’t have to money or capacity to do such. This support includes a very significant financial investment…but that is all changing this year. For many LGBTI people, Tel Aviv is the place where they want to live. Where in Jerusalem the social climate for LGBTI people is perceived as pressured, due to on-going efforts of ultra-orthodox Jews to organize society in alignment with their religious believes, Tel Aviv has a more hedonistic climate. Tourism for Tel Aviv is important to support the local community, and although the community as a whole is involved in the Pride March, the party scene is more focused on the gay male partygoer from around the world, even though efforts are made to include Lesbians in a better way and provide a culture program. Pride is, above all, seen as a tool for the tourism industry. In 2016 the municipality had a total budget of 11 million shekels (around 3 million dollars) to promote Tel Aviv Pride. While the government is focussing on promoting Tel Aviv Pride internationally to attract gay-tourists, dissatisfaction within the Israeli LGBTI-community was building up in regards to the perceived efforts of the authorities to really advance LGBTI-rights further. Netanel Azulay, a writer and prominent member of the LGBT community, wrote a Facebook post calling on the community to cancel the parade and it surrounding events until the state gave its members full equality. The call led to a Media Conference in April in the rainbow center in Tel Aviv’s Meir Park where Israel National LGBT Task Force Co-Chair, Imri Kalman, presented a list of demands to the government to work on LGBTI-emancipation in society. Next to the call to cancel the event to push the government to take action the demands also included: a demand to match the 11 million shekkels for advocacy work done by the community to match the pride-promotion budget; and for the Prime Minister and Finance Minister to meet with members of the community. Although the reaction of Tel Aviv city councillors, Efrat Tolkowsky (Meretz) and Yaniv Waizman (Rov Ha’Ir – the Young Faction), was positive – saying the municipality will act in accordance with the gay community’s decision – the final outcome was unexpected. The money allocated to promote Tel Aviv Pride got suspended, and although most likely no other Pride in the world gets this amount of money to promote their Pride, going from 11 to 0, two months before the Pride, was a gigantic setback. At the same time this budget was ten times as much as what is allocated for all other LGBTI organizations in one year fueling the anger. With the pressure of Tel Aviv Pride being cancelled by the community, the finance minister Moshe Kahlon met with leaders of the LGBT community and announced a plan he hoped would ameliorate frustration behind calls to cancel the annual pride parade in Tel Aviv. According to the Finance Ministry, the multi-year program would identify needs within the LGBT community allocate and, for the first time, specifically dedicate line items for the community in the upcoming budget. 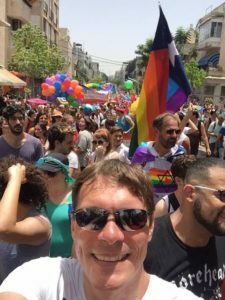 With pride taking place in 2016 one can tell that the community got satisfied up to an extend that was good enough to have a 2016 edition of Tel Aviv Pride. This Friday again, the LGBTI community will march in the streets of Tel Aviv, with thousands and thousands of LGBTI people and straight allies to give visibility to our community. The many gay men from all around the world, who came to Tel Aviv, will then enjoy one of the biggest gay beach parties in the world after the march, and will swarm over the city in the night, visiting one of the many indoor parties. This, and the overnight stays, food, drinks, travel and visits to the many tourist attractions Israel has to offer, contribute tens of millions of dollars to the local economy. It is estimated that every visitor spends about 200 dollars a day. Although this alone is a worthwhile investment, we know Pride is more than just a party. In recent years, many Prides have been struggling with the question of how to stay relevant for society as a whole, and its own community: particularly Amsterdam, Berlin, and London but also New York, San Francisco and many others. Although the activists address the local and national governments’ demanding action in other fields than Pride with additional budgets, one can not deny the question of relevance is now also pushed upon Tel Aviv Pride. In particular, how efforts of the authorities to promote Tel Aviv pride internationally match with the efforts to solve issues in society that negatively affect LGBTI’s. When the government is stepping up on LGBTI-politics and the community regains power over the pride in collaboration with the city of Tel Aviv, Tel Aviv pride will remain a strong brand in the future servicing not only the tourism-industry but the LGBTI community in Israel and beyond as well.